100% Pure Canadian Beeswax Candle; Handmade on Salt Spring Island, BC. 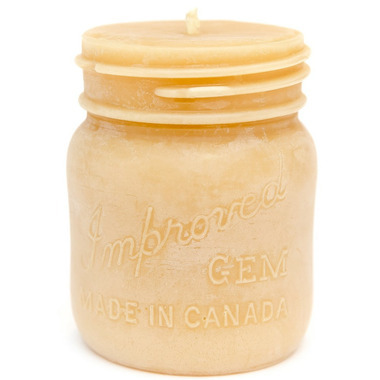 Made in Canada Mason jar candle; lasts longer than a jar of warm summer peaches. Bees Wax Works Candles are a longer burning candle; enjoy the gorgeous natural aroma of honey. Ingredients: 100% Pure Canadian Beeswax – sourced from the apiarist. Warnings: Never leave a candle burning unattended; remove all packaging before lighting. Please note, the candle is in the shape of a mason jar, this item does not include an additional jar.